As I’m sure any of us can attest, there are many distractions that take away from our productivity and occupy time that would be better spent elsewhere. There are plenty of ways to help you save time and increase efficiency. These 15 free apps will make day-to-day tasks a breeze and give you back your focus for where it really belongs. This app for Mac gives you laser focus by taking away that which distracts you the very most on your computer. Rather than blocking out absolutely everything, Self Control lets you specify a blacklist of websites. Just set your list and a period of time, and crank through your to-do list. But be warned: once you’ve specified an amount of time, you will not have access to your blacklisted sites until time is up. Available for Android and iOS, Remember the Milk is an easy way to stay on top of your tasks without employing a single post-it or back-of-your-hand-note ever again. The app syncs seamlessly with apps like Evernote and even commands you give to Siri so nothing falls through the cracks. New releases are rare with this app – but the feature set is already so great, this is hardly a big complaint. Available for Android, iOS and desktop, this password manager gives you an easy-to-use password management app. Securely store your data and use the free form filler to quickly log into different accounts and rapidly fill out forms. The app also tracks your online shopping, and has emergency password retrieval. There are a few login pages that Dashlane doesn’t cover, but the peace of mind more than makes up for it. Currently only available on iPhone, iPad & Mac, Day One gives you a place to journal. Automatically include details like the date/time, weather, photos, music you’re playing, location and more to remember for years to come. Only con: for the more sentimental people out there, you won’t have a journal you can hold in your hand later on down the line. Keep track of relevant and interesting webpages – everything from articles and recipes to videos – and take a look later when you have the time to really digest it. 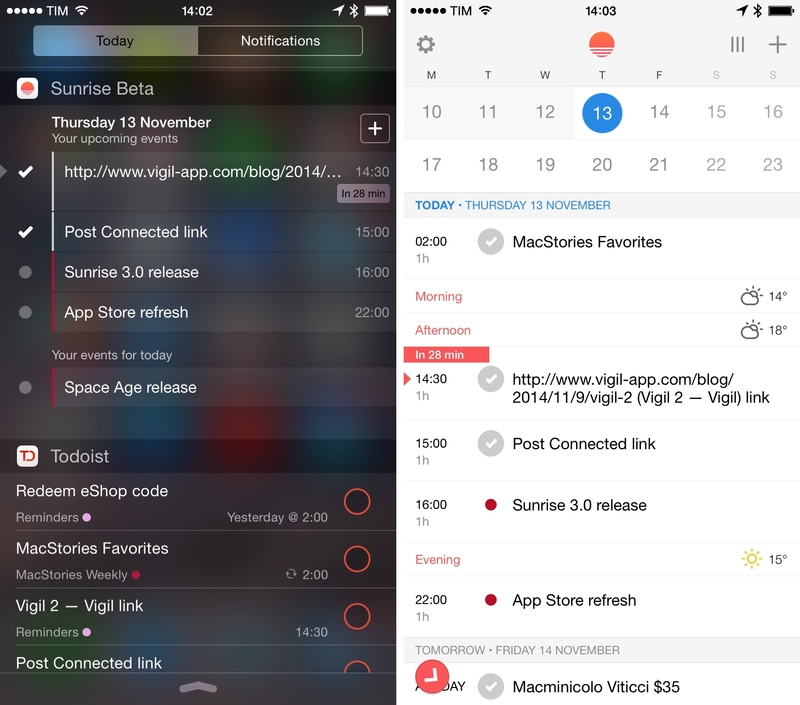 Pocket will highlight the best information for you to focus on. Just make sure you go in and sort through what you’ve saved regularly or you might accumulate a backup and end up reading for hours, with no actual productivity saved. Available on Android & iOS. Available on both Android & iOS, Sunrise is a calendar app with a clean and beautiful interface. Keep track of everything you’ve got going on with reminders, sync with iCloud and Google Calendar, weather updates and more. If you’re frequently on the road like me, don’t worry – you’ve got automatic time zone adjustment. It’s set to only show you three days at a time, which could be a pro or a con depending on how you look at it. This app is available on Android, iOS and your desktop and gives you a platform for team communication. My own team and I have found it minimizes email deluge and provides a great place to collaborate. Create different channels for sub-teams within your larger team and archive conversations when they’re no longer relevant. Slack also has a powerful search function that helps you locate conversations from weeks before. Never experience another interminable wait in line at the post office. Shyp’s tagline – “the easiest way to ship anything” – is no joke. The app’s got a simple and clean UI and all you have to do is fill out your recipient’s info, snap a picture of the item you’re sending and request a ‘hero’ to fulfill your request. So far, our team in San Francisco hasn’t waited more than 10 minutes for a pickup. The only drawback is a lack of transparency on what the exact shipping costs will be, but you can’t deny the simplicity of the entire process – as well as the fact that it’s only available in San Francisco for now. Available on iOS & Android. Long hailed as one of the best apps for productivity, Evernote lives up to every bit of the hype. A beautiful app that lets you, literally, remember everything. Document your brainstorm, collect webpages, pictures and more in one place, and collaborate on all of this with those that need to be in the loop. Some of the other great features come at a cost, but definitely worth considering the investment! Available on both Android and iOS. No more difficulty sharing the bill – Venmo lets you quickly and securely send or receive payments. From rent to splitting dinner, making a payment is done in a matter of taps and less than 30 seconds. You can set these payments to private or share them more widely with those in your network. Be aware: using a credit card in the app comes with transaction fees, while a debit card is free. Available on both Android and iOS. A simple and well-designed UI to keep all of your contacts in one place. Contacts+ pulls in information from other services you use, such as Facebook, LinkedIn, and Twitter, among others. Merge your contacts to save time, and use the smart search to quickly find exactly who you’re looking for. Available on both Android and iOS. This one’s an obvious choice – but one that my team uses every single day to collaborate on docs and stay on the same page (no pun intended, I promise). I’m a particular fan of the feature that lets you “suggest” edits to the doc, rather than just leave comments or completely edit without the owner’s approval. Available for Android and iOS. 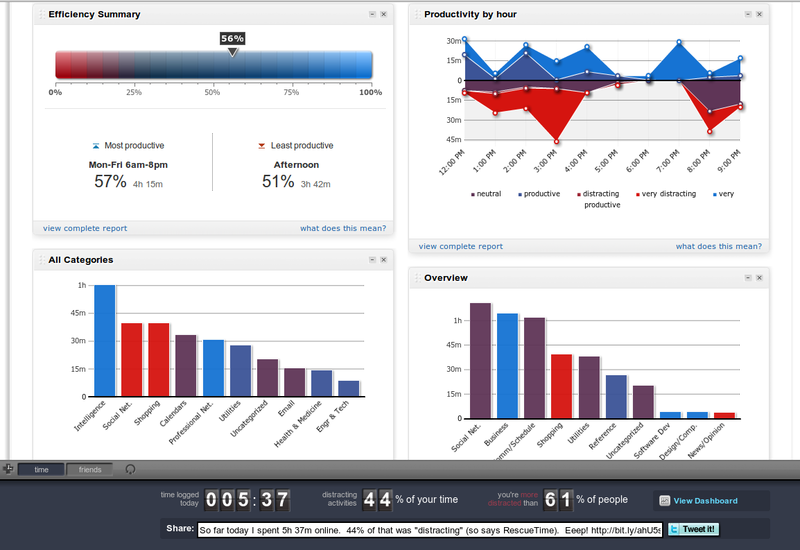 RescueTime gives you weekly reports of how you’re spending your time online – which sites you’re on and how long you’re spending on them. This helps you understand your daily behaviors and which behaviors are the ones making you the most productive. You can set goals for yourself and see how you’re measuring up over time. The only drawback is that for the app to be truly accurate, you have to properly and sometimes painstakingly categorize your behaviors. This takes a while, but you’ll get this time back in no time. Available on Android. This community-driven app gives you a way to set goals for yourself and keep track of them. Watch your progress, and turn to the community – which includes expert guidance – when you need support. There are options for peer coaching, bringing your friends on board and helping others with their own goals. One con is that the app crashes fairly regularly. Available on both Android and iOS. Never confront masses of mangled and torn receipts ever again! As someone who finds himself on the road regularly for work, managing and submitting expense reports on a timely basis can be difficult. With Concur, all you have to do is snap a picture of the receipt (and then throw it away – you don’t need it anymore! ), fill out necessary details and instantly add it to your existing report. Managers can quickly approve or deny reports as well. The UI leaves a bit to be desired, but that’s a purely cosmetic complaint. Available on both Android and iOS. Save even more time by swapping out your default keyboard for a third party keyboard (whether you’re on Android or iOS!) that you can use in all of your apps for fast, easy typing. What are your tech tips for staying productive? Share them in the comments!